New Study Proves Massage May Be Your Best Step Towards Pain Relief! Discover How You Can Become Pain Free Plus “Get Away From It All,” All Within The Next 24-48 Hours…FREE! Got pain? Sore muscles? Need to de-stress? Your solution may have been sitting right here under your nose all along! …and it doesn’t matter if you have back pain, neck pain, you’ve been in an auto accident or you just need a way to escape and de-stress, massage may be your answer! It works for millions! And now you can enjoy this incredible experience without any risk! Here’s your chance to get a nice, relaxing, “pain relieving” massage, on us, for free. You have to admit, it doesn’t get any better than that! My name is Dr. Losagio DC,DIBCN,FIACN and I would love for you to come in and get a free 30 minute massage on me! That’s right, a 30 minute, no obligation, massage on the house! I’m positive that you’ll walk away feeling better than ever! First of all, the American Massage Therapy Association took a bunch of people and did a study. They interviewed them all and found out many awesome things about how massage helps heal, relieve sore muscles, and most importantly, is considered to be a huge help in relieving pain! As a matter of fact, they also found massage is growing like crazy. They found that one in five U.S. adults received a therapeutic massage in the last year alone! Three-fourths of them would recommend it to others — and it’s not just because of massage therapy’s growing popularity, it’s because it makes you feel great! Reason #1: Massage Is Healthy! Imagine, 90 percent of Americans feel massage is good for a person’s health! Have you gotten one lately? Reason #2: Massage STOPS PAIN! It’s true! 93 percent of Americans feel that massage can be effective for pain relief! Reason #3: Massage is Becoming Know as The PAIN SOLUTION! The use of massage in people age 65 and older has tripled from 4 percent in 1997 to 15 percent in 2005! What wisdom in our elders! Reason #4: Massage is Helping Almost Half of Our Population, Why Not Let it Help You? 34 percent of the folks in our country had a pain relieving massage in the last five years and loved every second of it! Reason #5: Massage is The Topic of Conversation! 73 percent of those who have a massage recommend it to a person they know! Reason #6: Doctor’s Recommend Massage! Among folks who discussed massage with their health care provider, 57 percent said they strongly recommended massage or encouraged them to get a massage! What more proof do you need?? Let me help you. I’d love to meet you and prove to you just how massage works and makes you feel great and relieves pain. Imagine feeling like a new person! We’re located right here in Bethlehem and we have very flexible hours! (Our full address is actually below.) I really look forward to meeting you and don’t worry, if you have some more questions, once we get together, I’ll answer any other questions you may have. Get This Special Bonus: Complete the form below right now and I’ll include a 10% Off Coupon that you can use anytime! The Special Bonus can be used anytime and is not required to get your free 30 minute massage, you get that no matter what, no obligations, no strings attached! However, once you experience this incredible soothing, relaxing, pain relieving massage, you may want to pursue this route more often! If so, you’ll have this Special Bonus to use anytime–on us! For now, let’s get you in for your free massage! Just complete the form below and you’ll receive it instantly in your email! Thank you so much for coming to this website and I can’t wait to meet you in person and help you feel better than ever with massage! PS. 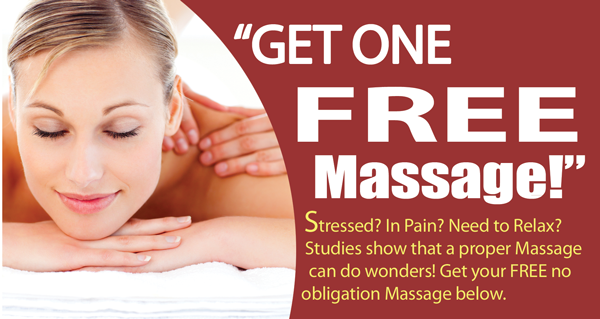 Remember, this is a no strings attached no obligation free massage! However, if you ever come back to us, you can use the Special Bonus! 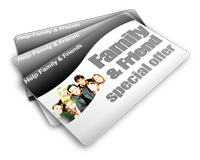 Get The Free 30 Minutes Massage and The Special Bonus Instantly! Just Complete The Form And Click The “Get It Instantly” Button! *Sources: 2005 Massage Therapy Consumer Survey, Opinion Research Corp. International, Princeton, N.J., conducted Aug. 11-14, 2005. M.K. Brennan, RN, LMBT, vice president, American Massage Therapy Association. Tiffany Field, PhD, director, Touch Research Institute, University of Miami School of Medicine.